Four of China's seven military regions held military exercises in an attempt that experts believe is meant to serve as a warning to Japan over its claim to the Diaoyu Islands, the Yangtze Evening Post reported. The Nanjing, Jinan, Chengdu and Guangzhou military regions recently conducted large-scale exercises. The Nanjing Military Region of the People's Liberation Army (PLA) combined naval, air and land forces to hold island landing exercises. 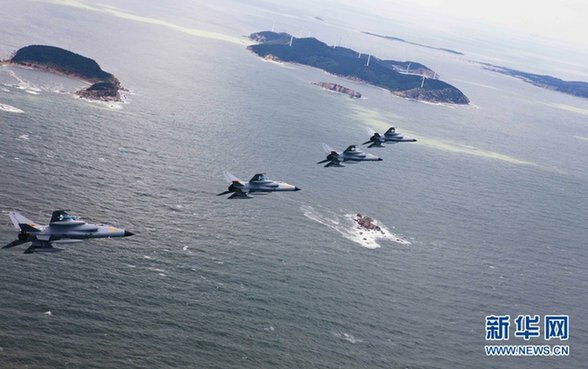 The Jinan Military Region underwent intensive forced island landing and combat exercises, while demonstrating the effectiveness of the "Flying Leopard" fighters. Hu Siyuan, a strategy expert based in Beijing, said that these kinds of assault and defense exercises give a clear warning message to Japan that China is prepared for and confident about protecting the Diaoyu Islands. China is not worried about a potential showdown over the disputed islands, Hu said. Citing historical conflicts between Japan and the U.S., Hu said that it would be impossible for Japan to receive military aid from the U.S. despite the Treaty of Mutual Cooperation and Security between the U.S. and Japan. In addition, the PLA Daily reported that the PLA navy succeeded in intercepting anti-ship missiles with a type of shipboard artillery in an exercise, claiming to set a new world record. Hu Siyuan said that the new artillery could make a protection screen for Chinese vessels and render them untouchable by enemies' missiles. It is a deterrent weapon to American, especially Japanese navy vessels, he added. China recently has hold a series of sophisticated military exercises, a move considered by military observers as a demonstration of strength and solidarity to Japan over the Diaoyu Islands issue.